A thing I think I have noticed since the last graphical overhaul is, that the loaders seem to be a little bit biased towards one lane of a belt when loading stuff into machines. Nothing has changed, and inserter behavior is pretty much entirely out of my control. Sorry! Odd, but I can't rule out that it's also that I just hadn't built the right kind of stuff for this to become noticable enough. I feared that this one now is truly out of your hands. Thanks for the confirmation! It's not new, and regular loaders behave the same way. I wanted to say thank you. I built many station designs and all were frustrating. Some huge, many inefficient. And then... I found your Miniloaders. Low ups hit, load/unload a full belt at a time, and allow for compact and efficient designs. Love it. Glad you're enjoying it! Have you tried Bulk Rail Loaders? I looked at them but quickly lost interest when I saw that they are limited to simple stuff like ores. I wanted to find a good solution I could stick to. There’s a config option to relax that restriction if you want. I personally enjoy using a mixture of different tools (like miniloaders) at stations for different kinds of goods. When I use miniloader + steelchest as splitter, sometimes only one belt is being supplied. Below is a picture from the attached savefile (only uses creative-mod 0.0.32 and miniloader 1.6.3). The left middle miniloader/chest is not splitting. I did not test/check other edge situations but can do if you want me to. Oh. Nice fun with chunk updates. This is going to make someone at wube very happy. Works in every direction too (i.e. it doesn't work in any direction). And loaders and inserters do it alike. I'll leave the honor of writing the report to someone else ;). Works in every direction too (i.e. it doesn't work in any direction). And loaders and inserters do it alike. I'll leave the honor of writing the report to someone else . I can almost guarantee it will be closed "Not a bug." Inserters make no guarantees about splitting evenly. If you want that, use a splitter. Inserters make no guarantees about splitting evenly. If you want that, use a splitter. I have no problem at all when the splitting is not completely even across the belts. But now it is a 100% vs 0% split. I would consider it as a bug when a config is working different when shifted by one row. Shows the difference between the two. Last edited by hreintke on Tue Oct 30, 2018 7:33 pm, edited 1 time in total. Well. You can only know that by reporting it. And in all other cases inserters *do* split evenly by taking turns when taking from any inventory. This works on all inventories like assemblers, cars, trains, etcpp. So it is quite inconsistent if an "unlucky" inserter suddenly gets *no items whatsoever*. But it sounds like you're not gonna be the one writing the report ;(? Wait wut? Miniloaders will now split evenly? I've always used a circuit to ensure there's at least inserter pickup bonus * number of miniloaders amount of items in a chest before activating the miniloaders as that ensures an even split. Otherwise, whichever miniloader was "first" would always win. So as far as i am concerned, i see it as a no issue but if you've implemented an even split without ensuring enough items for split then that's cool! Wait wut? Miniloaders will now split evenly? They're inserters, so they split evenly as well as inserters ever do. Which is to say, not reliably. Thank you for nice mod! 1x1 lane balancers are very cool! 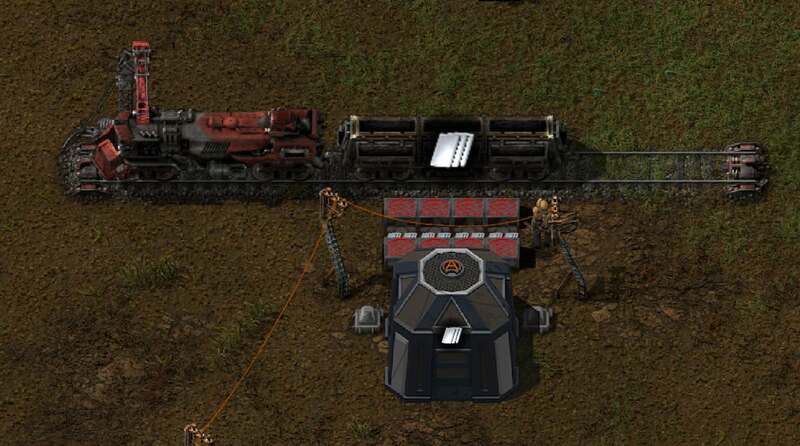 I'm trying to use miniloaders for loading train wagon, but it does not work this way, when I put only one line of loaders between silo and wagon https://i.imgur.com/Mixpm8a.jpg Is it bug or intended behavior? That seems to be the overall design of Loaders in general : feed or draw from a belt. Think of it as something put at the end of a belt so all the belt’s throughput goes into (or comes out of) the container on the other end of the Loader. In your first pic, you were either taking from the train car or the warehouse, and dumping onto a belt, that went nowhere. Or, if they were operating the other way, they were trying to take from a non-existent belt in order to feed either the train car or the warehouse, depending on orientation. In your second pic, they were taking from one, and the belt end of the Loader had somewhere to go : the other Loader. So, they would go from train car to loader to loader to warehouse. Miniloaders are 1x1 rather than 2x1 but from what I can tell, all Loaders functioned this way. By the way, though you cannot sideload a Loader, you can use a Loader to sideload a belt. I feel like an idiot, but I can't get this to work with assemblers. Any idea why? I've attached a picture of what I'm trying to do. I have tried with speed beacons in/out of the assembler, replacing the assembler, changing directions on things, nothing works. Edit: Ok, I get it. The miniloader can *either* load or unload, it cannot unload on one side and load on the other. So it isn't possible to do what I'm doing, unload from a chest into an assembler. I have to have at least one belt unit in between. Lame. Miniloader works only entity to belt or belt to entity. You need two of them for this scenario merged with the belt ends. This mistake is probably the most common one made with miniloaders. Players treat them like inserters when in fact they are a combination of two entities, a belt and inserters putting items on said belt. You will need two miniloaders to do what you are doing. One grabbing items from chest or assembler and one putting items into assemer or chest. Here's a picture showing how to load trains. The principle is the same if the train wagon was an assembler. ... and the second is to pull items from a belt the same way a splitter would with output priority. Next is a behind the scenes (what you don't see) image showing exactly what you get with a miniloader. Albeit the miniloader is all compacted into a single tile. 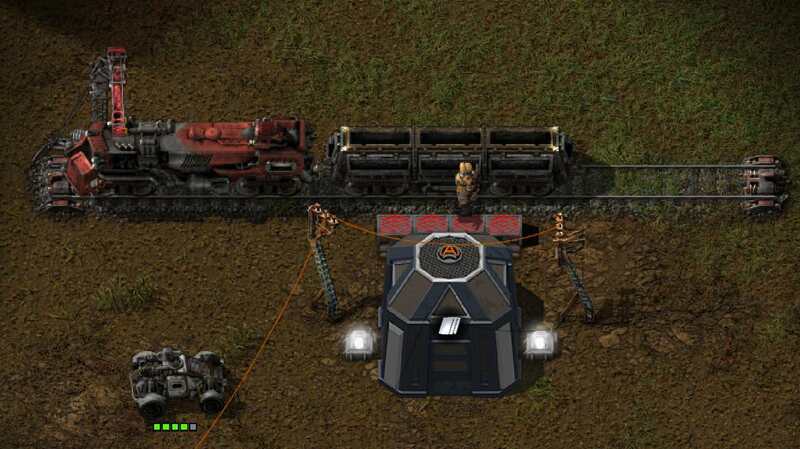 As i said, the inserters and the belt all exist on the same time with miniloaders, hence why you get the horizontal pickup bars rather than the diagonal ones like in the example image. And the inserters are stupid fast so there are no gaps in items delivered. Either way, that's exactly what you get with miniloaders, no more, no less.